Submitted by vsteele on Fri, 12/09/2016 - 18:13. Mitt Romney and Bob Corker are everything wrong with the Republican Establishment and will never be Trumps Secretary of State because they will continue Obama's weak foreign policy including his refugee program and amnesty that allows illegals to come into the country from high risk countries that sponsor terrorism. They come into the country without proper vetting and are held in sanctuary cities which costs the country billions of wasted dollars and are a threat to our security and wellbeing. Conservatives don't want Romney nor Corker Donald J. Trump's Secretary Of State because they will appease America's enemies including Syria, Iran and Russia who are countries that support terrorism which will be a threat to America and our allies in the Middle East including Israel our staunch ally which will compromise the U.S. security and intelligence abroad. Conservatives also see Romney and Corker as Trumps enemies who never supported the President Elect during the elections so I don't see how they should be Trump's choices for Secretary of State a bad idea and bad for America. President Elect Trump will choose a far right conservative as John Bolton, Rudy Giuliani another conservative that will protect America's security interest and intelligence abroad including its Western allies and allies in the Middle East including Israel. Submitted by msmagnolia on Fri, 12/09/2016 - 17:41. I fear Trump is going to do what he wants without listening to anyone, other than perhaps his children. He's already back pedaling from several campaign promises. I had hoped that Mike Pence could have been a steadying influence on him, but I'm afraid Trump will turn out to be just as bad as Obama. 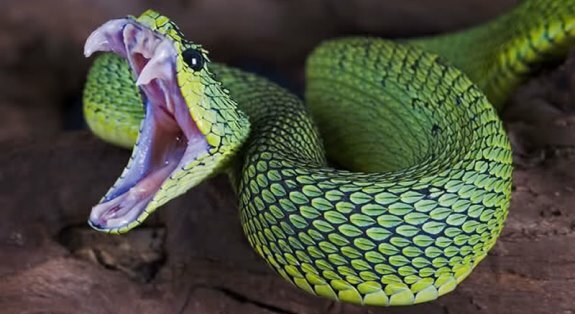 I think Trump himself is a viper.